The new back protector now meets the more stringent CE2 motorcycle safety standard and is designed to be more flexible. 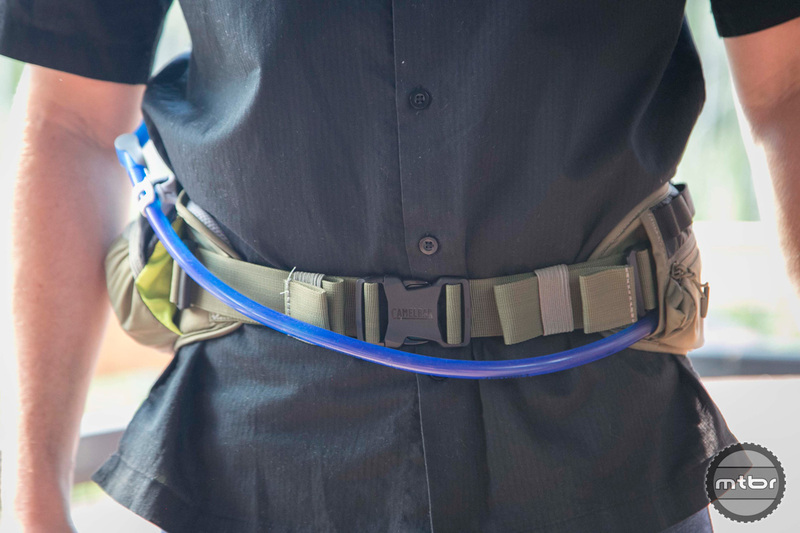 This allows it to better conform to your back, making it more comfortable on long rides. The pad also receives additional perforation for improved airflow. The new Repack resolves our minor complaints with the Palos. 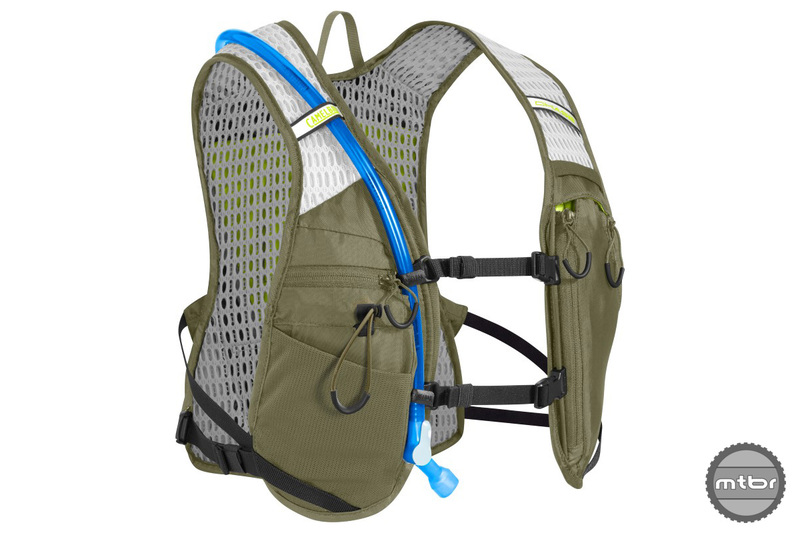 Read our review of the Palos here. 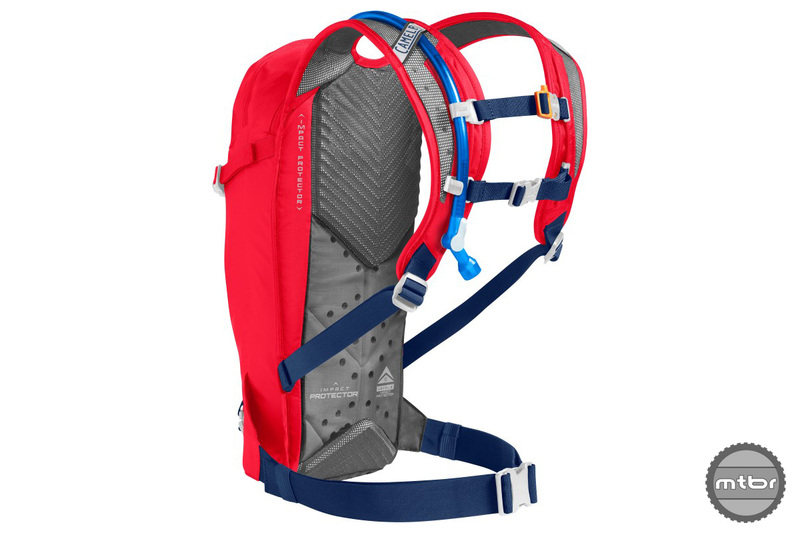 If hydration packs aren’t your thing, then the new Repack might be more your style. 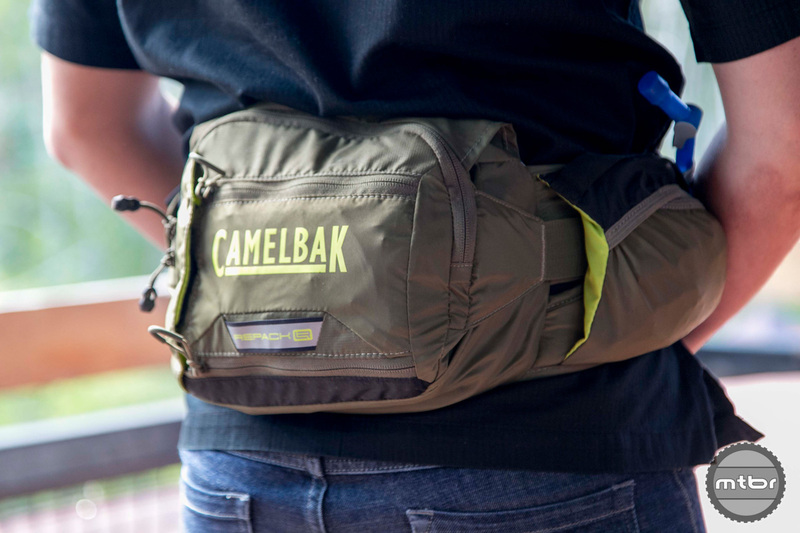 Based loosely on the Palos waist pack, this new bum bag resolves many of the complaints Mtbr had with the previous design. 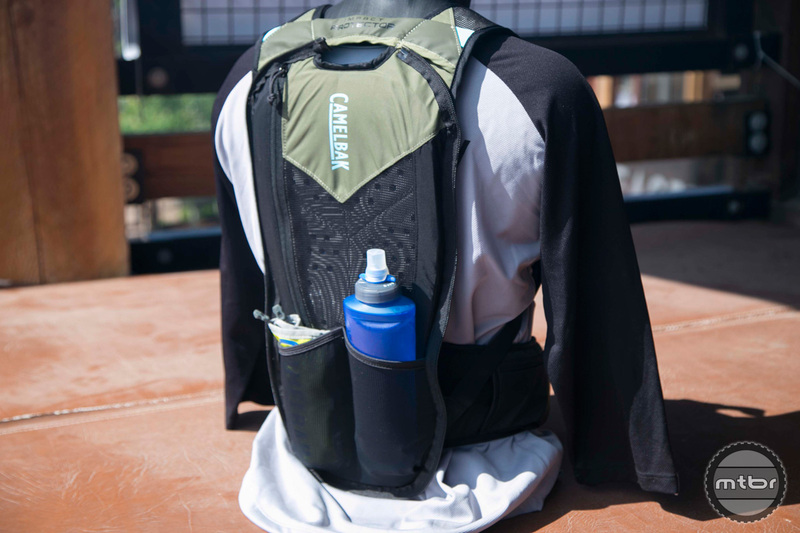 To learn more head to https://www.camelbak.com. The Chase isn’t just a running back with a mountain bike label slapped on, it’s a careful redesign. 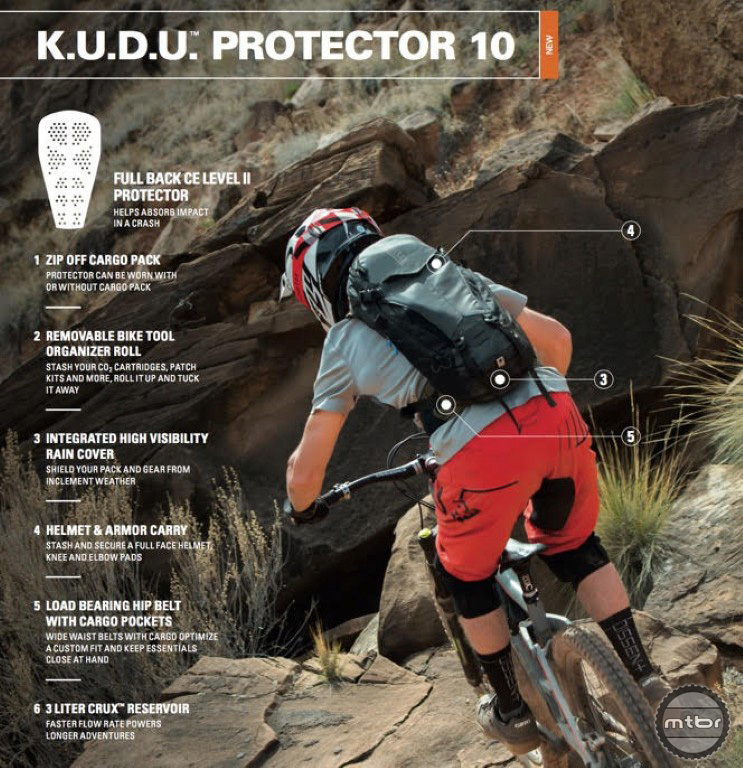 The K.U.D.U. 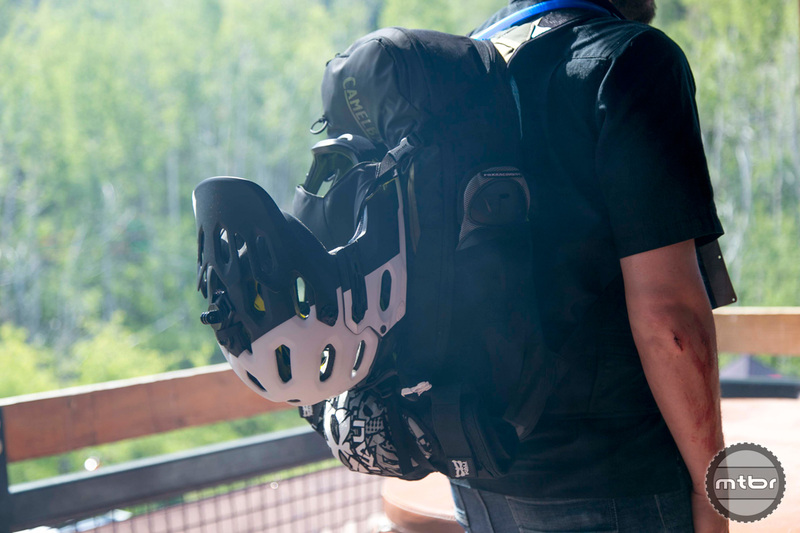 is the ultimate bag for enduro style events. It meets CE2 levels of certification and offers impressive storage capabilities. Both the T.O.R.O. 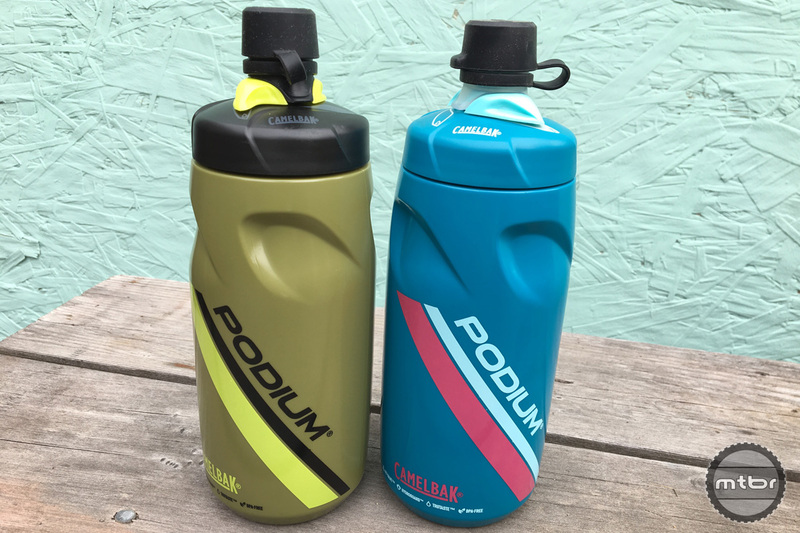 8 and 14 carry a 3L (100oz) reservoir. 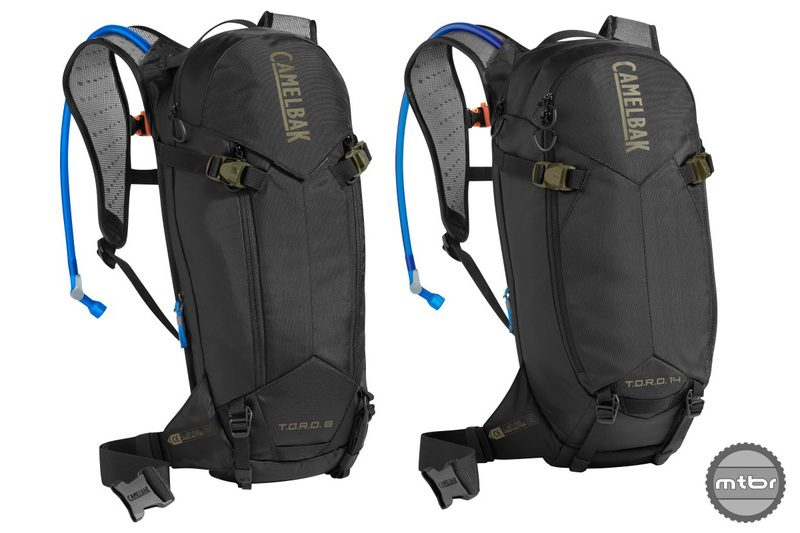 The 8L (left) offers an additional 5L of storage, while the 14L (right) offers an extra 11L. The new Repack resolves our minor complaints with the Palos. 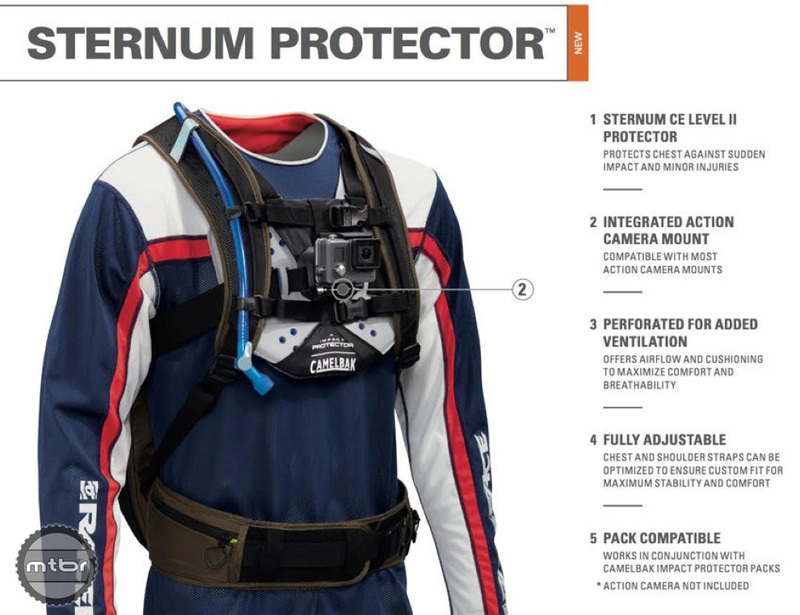 For that ultra clean look, you can wear the sternum protector next to your skin and cut a hole in your jersey for the action camera. This look has become widely adopted in motocross. Good call with Podium Dirt Series. I have the original one and skipped the new model because of larger “dirt pocket” (even the old, smaller nozzle would trap mud or dust). I was not convinced with “improvements” even for normal, clean conditions. I’ll see the new model. When will the Chase be available? 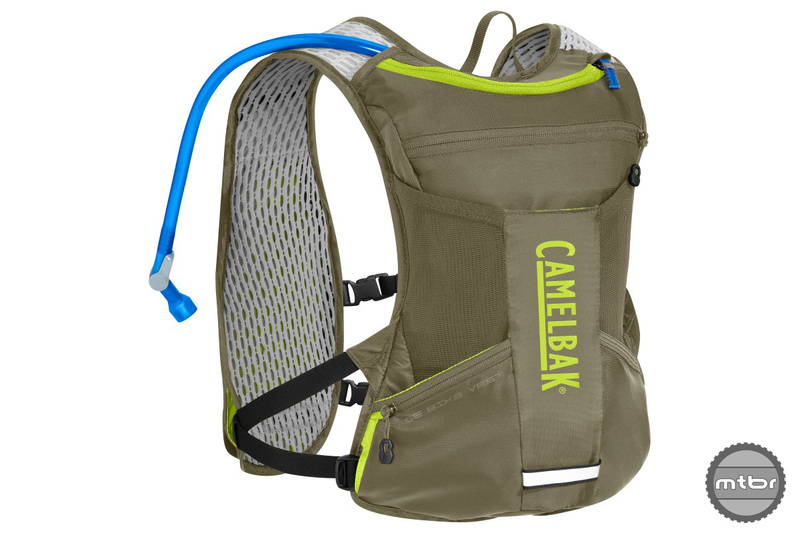 There is no info about it on Camelbak’s web site.